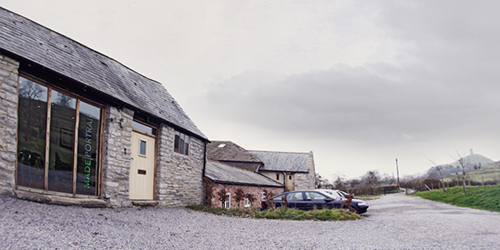 Somerset Wedding Photographer Neil Bremner of Made Portraits will make your wedding photography part of your day rather than taking over your day. An award winning Somerset photographer and with 20 years experience, Neil has a keen eye for capturing the most amazing wedding photographs. Just look through the Gallery below to see the evidence. All those quirky moments that happen throughout the day can be caught with some reportage photography; Every bride puts a lot of effort in to those little touches and some still life photography can have that covered; If the parents and grandparents are a part of your amazing day, then capture a few of the more traditional family shots to keep them happy and then you; Made Portraits likes to capture the couple with some style and we have some stunning products to complete the packages perfectly. Memories fade, beautiful pictures last a lifetime. Build a package to suit you. Neil knows that every wedding and every couple are completely different and as such, what you want from your wedding photographer may not fall into a standard package. That’s why we do things a little differently. You build your package! Take advantage of a free consultation with Neil to discuss your special day and then build something around your specific requirements. To start with, you have the day itself. Your wedding day may simply require someone for an afternoon or maybe you would like someone for the entire day. Choose how long you would want Neil for from either the 5 hour or 12 hour options. 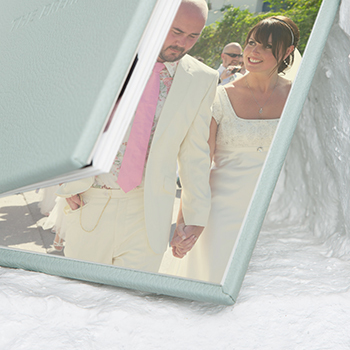 You may just want the prints of the day; you may want a beautiful wedding album to cherish for a lifetime or you may even want all your images from the day digitally to share with friends and family. You decide how you want to get the photos of your special day. It’s as simple as that! Find out more below and see what suits you but if you can’t find what you ideally would like then please just Email or call us on 01458 831888. Now add a little colour to your wedding photography with Made Portraits. Still not sure? Consultations are free so book yours now! Wedding Gallery – Please take a look. For those that just want a small part of their day to be captured, the Half Day package covers what you want it to. This package is for up to 5 hours of photography normally starting from the wedding ceremony itself. Your Full Day Photography package covers it all. Getting ready; ceremony; reception; cake; the first dance and the evening guests joining you later. Up to 12 hours of photography allows the entire day to be a part of your wedding photography story. 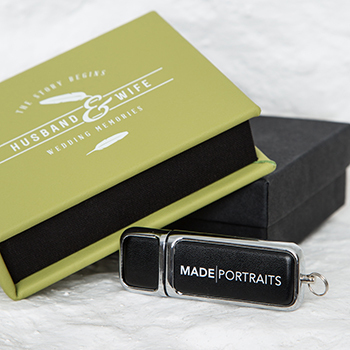 Your edited and retouched selection of images from your wedding day provided as High Resolution Digital Files supplied both in Colour and in Black & White presented on a 16GB USB with a lovely leather box to keep it safe. Your USB will also include a digital slideshow of your images to enjoy with loved ones. The beautiful keepsake boxes are individually handmade to order for your treasured prints to be lovingly stored within. This popular box will be personalised with each couples name and date of the wedding and is filled with 200 beautiful A4 Lustre prints. This modern coffee table fabric 12×12″ album is finished off to perfection with beautiful satin lay flat style seamless pages. 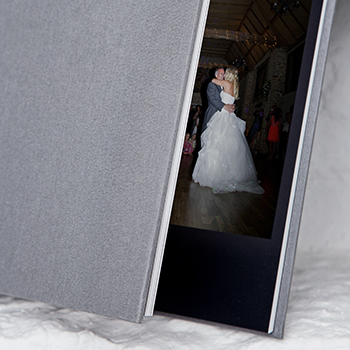 The albums can be personalised to each couple as can the lovely hard case storage slip sleeve. Choose one of your favourite wedding day images to be framed within any of the Made Portraits 20×16 finished wall products. This covers the Classic, Grove; Linea and Bellevue range options all normally £325 in this size. 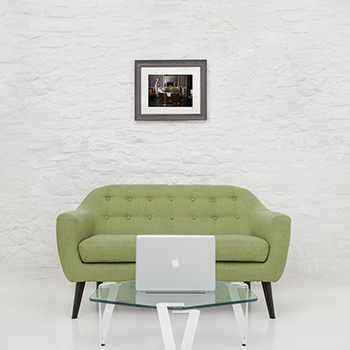 The Classic is based on Frame Size which comes with a 14×10″ Image. 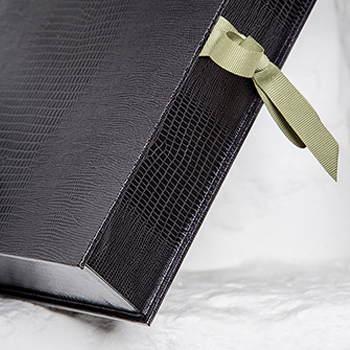 This luxurious handmade leather covered 12×12″ album comes with a choice of colours and inside your images are printed on to a beautiful matte fine art paper with a lay flat style. The albums can be personalised to each couple and comes in a natural cotton bag and a cardboard presentation box to keep it clean and safe. Some couples like to have a second photographer there on the day and Made Portraits have 3 amazing photographers they work with to help capture that little bit extra. 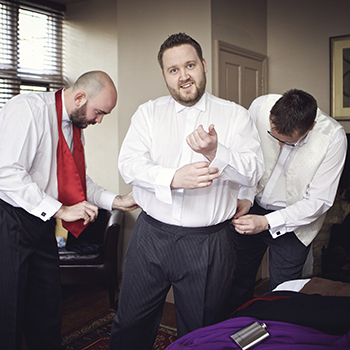 Generally your second photographer will be with you from around 2 hours before the ceremony and will stay for up to 5 hours capturing the groom getting ready and covering some reportage photography whilst the group shots are being done. Bridal Boudoir photography is quite simply the perfect gift for your groom. Of course he would love a new watch as a gift but our stunning Boudoir Box will give him goosebumps! This experience covers your 2.5 hour boudoir experience; a Boudoir Gift Box of 5 mounted Fine Art Prints and the Digital Files of your printed images.